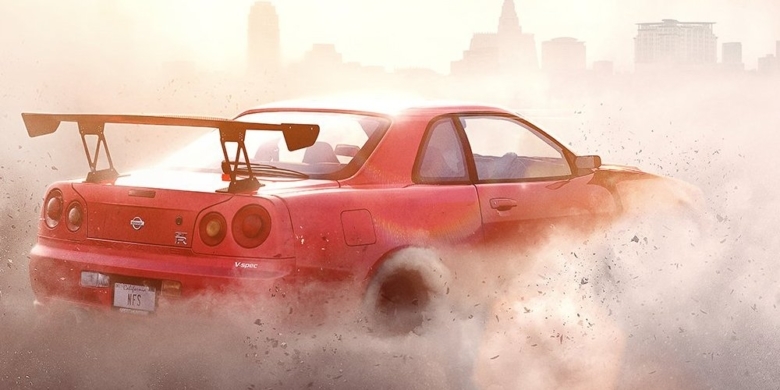 Auch in diesem Monat erhält ‚Need for Speed Payback‘ wieder ein umfassendes Update, das Ghost Games heute mit allen Einzelheiten vorstellt. Players can now collect a poker chip that is located near to the „Danza Macabra“ event when driving the McLaren P1. We found a rare issue that would cause the game to sometimes hang indefinitely when selecting „swap with warehouse“ in AllDrive. It no longer does this. Players can no longer navigate through the pause menu after pressing the ‚Back‘ prompt in the multiplayer lobby. Removed some development text strings from the „Showman Intro“ event. These weren’t top secret. There is a rock formation near the „Throwing Skids“ drift zone. Previously it had no collision applied to it, it now does. Don’t crash. Players can no longer get stuck under a trailer near the „Boomville Pursuit“ event. As a general rule of thumb, we don’t advise driving under trailers. The progress bar for „next shipment“ from the „Challenges“ screen now updates after a player completes any daily challenge. Players are no longer prompted to „Try again later“ when accessing the „Challenges“ menu. You used to be able to change difficulty mid-mission from (for example Hard to Easy) and gain more time per checkpoint without restarting the mission in the Runner time trial „Elysium Dash“. Not anymore. If you started to play the Drag time trial „Safety Last“ on Hard and then change the difficulty to Easy without restarting the mission, players would still gain more time per checkpoint than if you’d played on Hard the entire time. Also, not anymore. An Invisible wall was present near the rocks in the mountains on the route of the „Pedal to the Metal“ speed run activity, stopping players from completing the activity with 3 stars. This invisible wall has been removed. Players will no longer get stuck on the ramp approximately 2.3miles into the „Praise the sun desert“ event. During a „Bait Crate“ event a player is now shown the „Escaping“ message when the pursuit stops and there are no police cars are near the him. The rock formation near the „Blitzkrieg“ Speed Run activity now has collision applied to it. The sound before getting busted in a „Bait Crate“ event is no longer looped in the reputation, money and speed card selection after completing the event. Players no longer receive multiple resets after falling off the ramp and failing the jump on „Solar Project“ event. During the Speedcross tutorial, „$IDA_Axis0xNeg“ no longer appears instead of „Drifting“ and „Good drift“. Previously, if a player enters the „Tune-Up-Shop“ with the Subaru Impreza WRX STI off-road build for the first time, the parts available were level 13. This is no longer the case and the cards are set to an appropriate level. Players will receive a „Speed Card“ consistent with those currently equipped after completion of the „I smell a rat“ event. A patch of rocks located between the „Smuggler’s Trail“ and „Over the Hill“ events now has the correct collision applied to it. Autolog now updates correctly after beating the recommended score on the „Udo Roth: Wild Streak“ event.